I’m happy to see that Transylvania, a place my husband and I first traveled to in 1999, is now considered to be “the world’s best region to travel in 2016” by Lonely Planet. We knew it back then. Dracula legends and connotations aside, Transylvania is a mountainous wonderland of history and nature. In the Transylvanian villages of Mera, Buza, Szaszcsavas, Parajd, and Szek, warm, friendly people opened their homes and fed us like kings. We hiked, danced, drank wine under a full moon, swam in a salt lake, enjoyed a folk concert in a salt mine, hunted for snails with our hosts, and explored the ruins of the Bonchida castle, which has since undergone restoration. We even attended a village christening, carefully dressed in traditional garb by the family who hosted us. 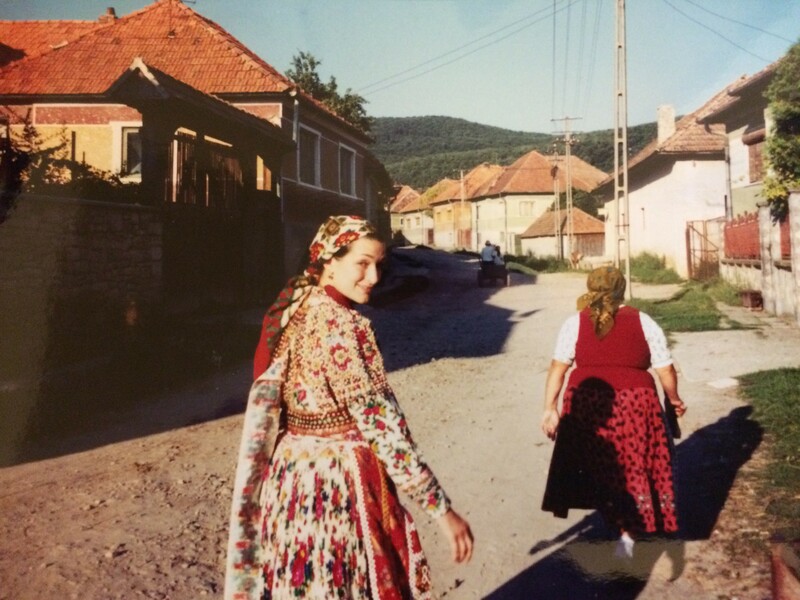 I was forever touched by my first journey to Transylvania. My yet-to-be published novel “Circle of the Silver Birch Trees” draws heavily on my experience exploring this unique European destination. It makes me smile that this special place is gaining recognition in the wider world. This entry was posted in Circle of the Silver Birch Trees, Hungary & Transylvania, Inspiration, My Work, Travel, Writing on October 31, 2015 by Judi Resick.